What is VMware vCenter Server on IBM Cloud? vCenter Server is a cloud solution that delivers VMware vSphere as a service. 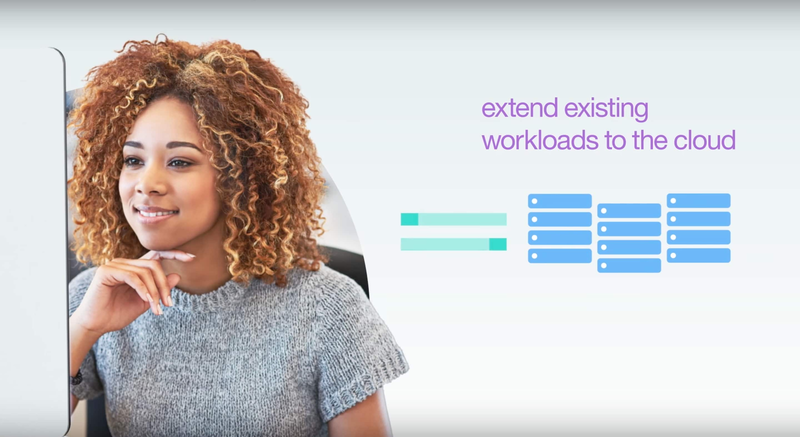 The VMware environment is built on top of a minimum of three IBM Cloud bare metal servers and shared file-level storage. It includes the automatic deployment and configuration of an easy-to-manage logical edge firewall that is powered by VMware NSX. The entire environment can be provisioned in a matter of hours, while the cloud infrastructure provides the rapid scale-out of compute capacity when needed. IBM has mobilized thousands of experts to help organizations extend their VMware environments to the IBM Cloud. They provide planning, architecture, migration and end-to-end management services. Integrate cloud services with emerging technologies (AI, blockchain, IoT, etc.) to maximize opportunity. —James Coyle, Chief Executive Officer, MediStreams Inc.
Quickly address resource constraints by deploying workloads in the cloud, growing as your needs expand. Eliminate aging or redundant infrastructures by moving vSphere-based workloads into IBM Cloud. Migrate workloads from vSphere 5.1 or 5.5 on premises into a cloud environment with vSphere 6.0.